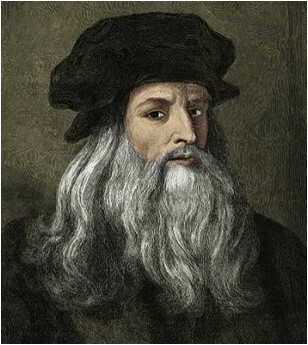 Leonardo da Vinci was the “most famous artist of the Italian Renaissance artist” and he is known for his famous works “The Last Supper” and “Mona Lisa.” However, Da Vinci was also interested with the laws of science and nature, which helped his work as a painter, sculptor, inventor and draftsmen. “His ideas and art of which includes “Virgin of the Rocks,” “The Last Supper,” “Leda and the Swan” and “Mona Lisa” have influenced countless artists and made da Vinci the most famous artist of all time. 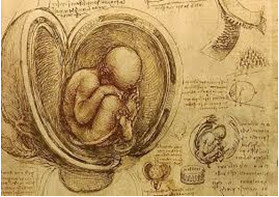 Leonardo da Vinci was born “in 1452, in the heart of the Renaissance in the heart of Europe.” He was born outside Vinci, high up on Mount Albano, in the valley of the Arno River, near the city of Florence. At this time Florence was an independent republic and commercial centre at the time of his birth. He was the son of Ser Pierro da Vinci, who was a lawyer, and a peasant girl named Caterina. He was considered “illegitimate” because they were not married. His father later married into a wealthy family and Leonardo went to live with his ‘new’ grandparents. Later he lived with his father’s family and they didn’t hide his birth and welcomed him into the family. Leonardo had “no surname in the modern sense. “da Vinci” means “of Vinci” or from Vinci.” His full birth name was “Leondardo di ser Piero da Vinci”, meaning “Leonardo, son of (Mes) ser Piero from Vinci”. Little is known about Leonardo’s early life. He spent his first five years in the village of Anchiano. As a child he was very smart and was very quick at arithmetic and music. Leonardo received “ an education in Latin, geometry and mathematics.” He also learned the lyre (a musical instrument like the harp) HE a wonderful singing voice, and quickly went to further develop his talents with a tutor. In later life, he remembered two childhood incidents. One, which he regarded as an omen, was when “a kite dropped from the sky and hovered over his cradle ”. The second happened while he was exploring in the mountains. He discovered a cave and was terrified that some monster might be inside. However he was also curious to see what was inside. This showed he had great curiosity and this would stay with him for life. At the age of 14, da Vinci began apprenticing with the artist Verrocchio. For six years, he “learned a lot of technical skills, including metalworking, leather arts, carpentry, drawing and sculpting”. By the age of 20, he had qualified as a master artist in the Guild of Saint Luke and had his own workshop. In 1482, Lorenzo de’ Medici, a man from a wealthy Italian family, commissioned da Vinci to made a silver lyre and bring it to Ludovico il Moro, the Duke of Milan, as a gesture of peace. Da Vinci did so and then “wrote Ludovico a letter describing how his engineering and artistic talents would be of great service” to Ludovico. His letter was successful and he worked for Ludovico from 1482 until 1499. 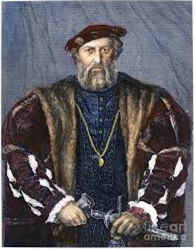 Leonardo was commissioned to work on many projects for the duke. It was during this time that he painted “The Last Supper. “The Duke decided he wanted this particular religious scene of Jesus and the Apostles at the Last Supper painted and Leonardo, who was not stupid, decided painting it made perfect financial sense. The original “mural is on a wall of the dining hall in the Convent of Santa Maria” delle Grazie in Milan, Italy. 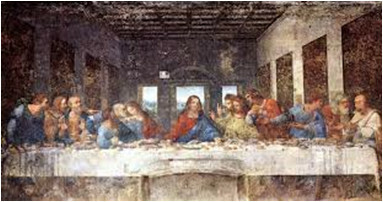 He began working on it in 1495, and finished “The Last Supper” in 1498. This is worth pointing out that Leonardo was slow to finish pieces and often left projects unfinished. This often drove his clients crazy. This work “measures about 15 by 29 feet and is the artist’s only surviving fresco”. It depicts the Passover dinner during which Jesus Christ addresses the Apostles and says, “One of you shall betray me.” One of the painting’s stellar features is each Apostle’s had distinct emotive expression and body language. Its composition, in which Jesus is centred among yet isolated from the Apostles, has influenced generations of painters for years. 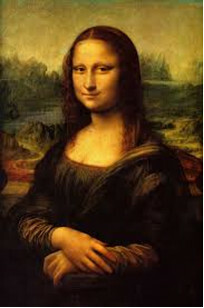 Da Vinci’s most well-known painting, it is the most famous painting in the world, it’s the “Mona Lisa” . It was a privately commissioned work and was completed sometime between 1505 and 1507. It’s been said that the Mona Lisa had jaundice and that she was a pregnant woman, some say wasn’t actually a woman at all, but a man in drag. Some people say “that the “Mona Lisa” is a picture of Lisa Gioconda ”, the real-life wife of a merchant, but that’s far from certain. For da Vinci, the “Mona Lisa” was forever a work in progress, as it was his attempt at perfection. The painting was never delivered to its commissioner da Vinci kept it with him until the end of his life. 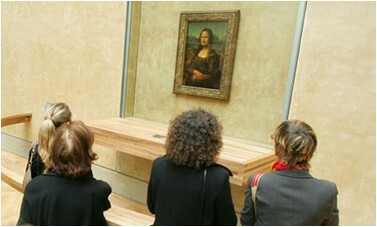 Today, the “Mona Lisa” hangs in the Louvre Museum in Paris, France, behind bulletproof glass, and is regarded as a priceless national treasure. Da Vinci has been called a genius and the typical Renaissance man. His talents went extended far beyond his artistic works. Like many “leaders of Renaissance humanism”, he did not see a divide between science and art. His observations and inventions were recorded in 13,000 pages of notes and drawings, including designs for flying machines (some 400 years before the Wright brothers’ first success), plant studies, war machinery, anatomy and architecture. “Towards the end of his life, Leonardo was plagued by ill-health” – a stroke left him paralysed down the right side of his body. Despite this, his notebooks reveal that he was very active, though it is likely that his assistants carried out most of the physical work. However, his mood deteriorated and he is thought to had a sense of pessimism. He became increasingly interested with his experiments and scientific projects. These interfered with his artistic work he became even more notorious for not finishing anything. In “April 1519 Leonardo, aged 67 drew up his will”. He left most of his works to his adored pupil and companion, Francesco Melzi. 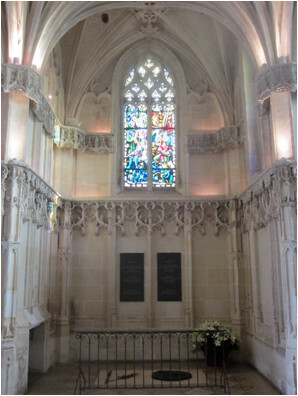 Leonardo in the Chapel of Saint- Hubert in Chateau D’Amboise in France. 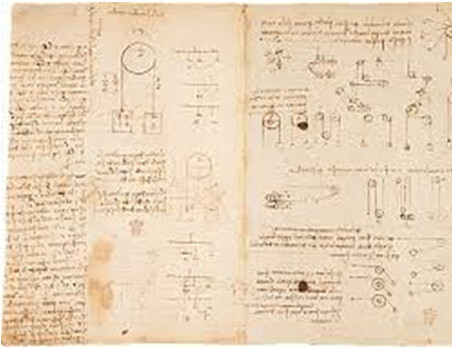 “The fame of Da Vinci’s paintings” has meant that he “was been regarded primarily as an artist, but the thousands of surviving pages of his notebooks reveal the brilliance of his mind”. He wrote and drew on subjects including geology, anatomy (which he studied in order to paint the human form correctly), flight gravity and optics, often flitting from subject to subject on a single page, and writing in left handed mirror script. 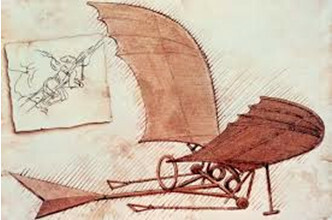 He ‘invented’ the bicycle, airplane, helicopter and parachute some 500 years ahead of their time.